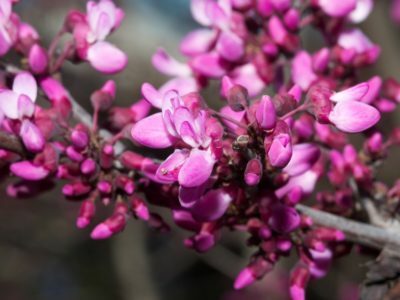 A many-branched shrub or tree that grows less than 26 ft. tall with small, scale-like leaves. 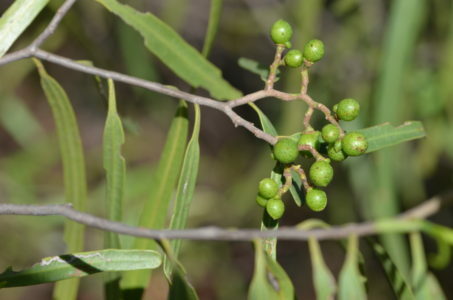 The leaves have salt glands and salt crystals can often be found on them. Small white to deep pink flowers are densely arranged. 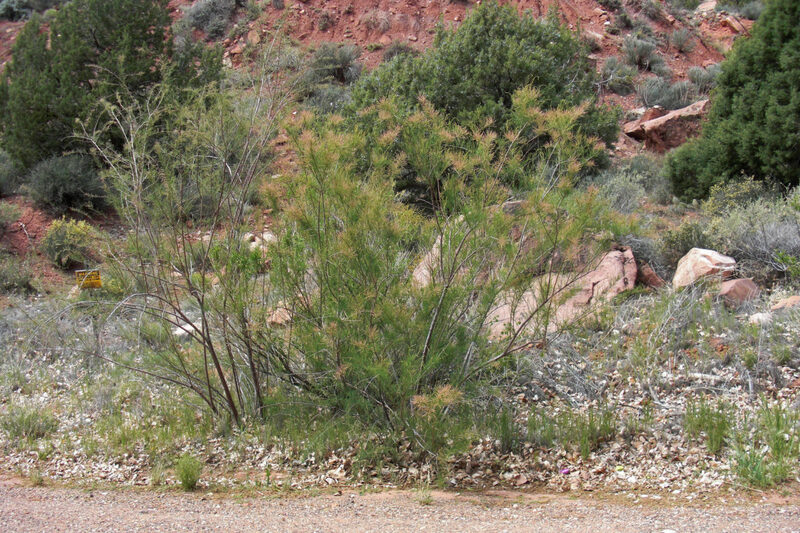 the bark is reddish brown with smooth stems. Seedlings mature rapidly and produce small, white or pinkish flowers often by the end of the first year of growth. 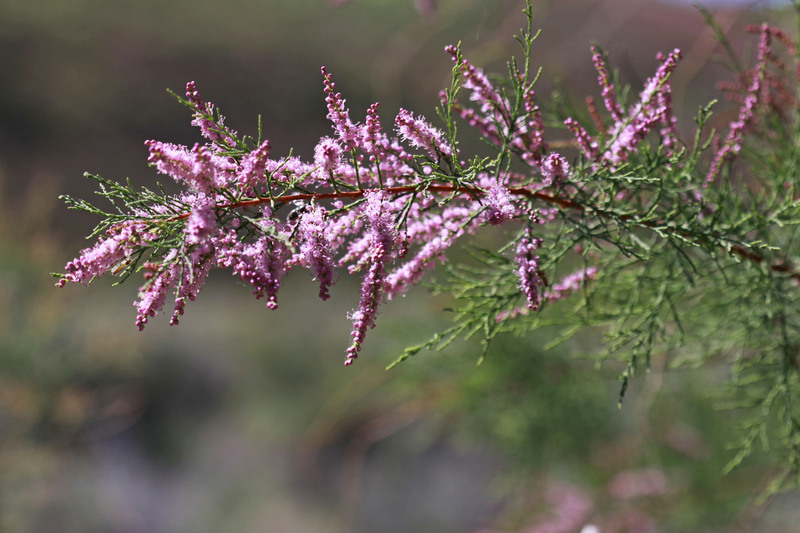 A single large tamarisk tree produces a half million seeds a year! Seeds will resprout after fire, severe flood, or treatment with herbicides and it is able to accommodate wide variations in soil and mineral gradients in its environment. 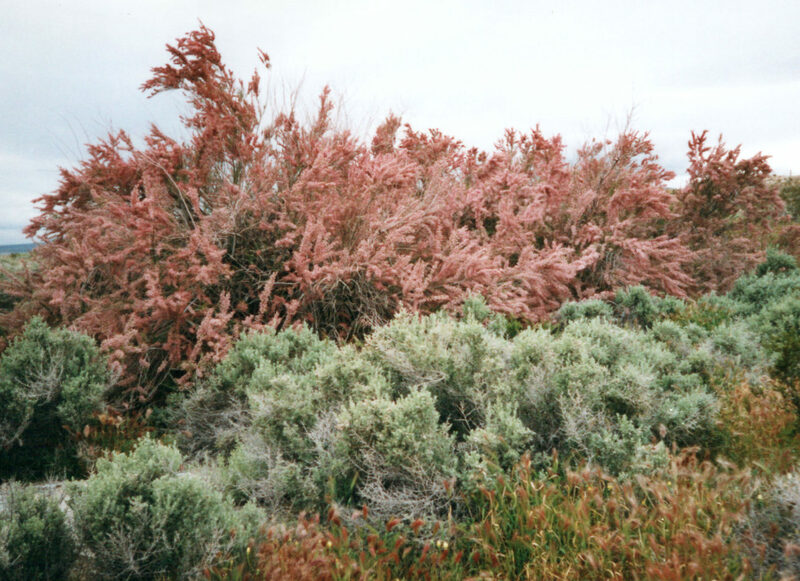 Saltcedar has invaded areas along waterways in dry areas of California. 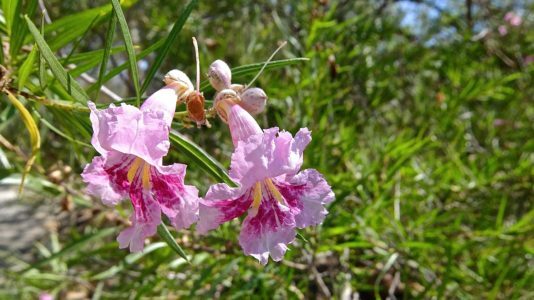 They also are common in most river systems over much of Utah, Nevada, Arizona, New Mexico, Colorado, Oklahoma, and Texas. 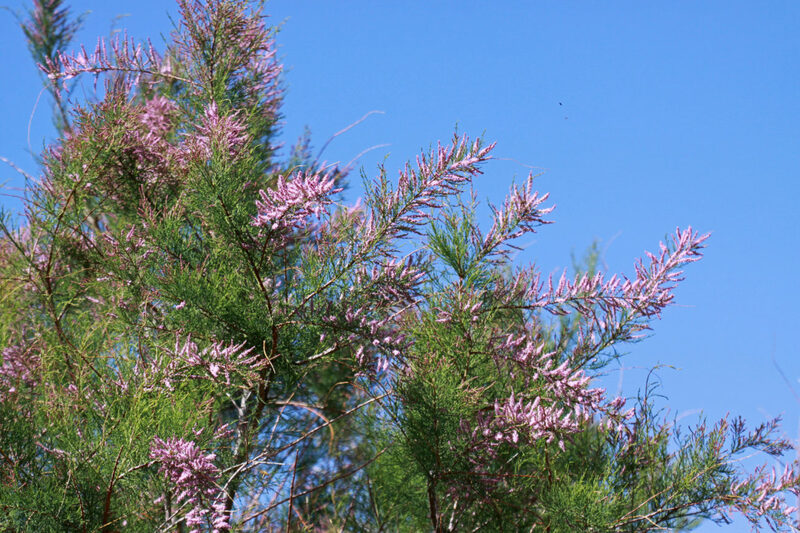 What problems does saltcedar cause? 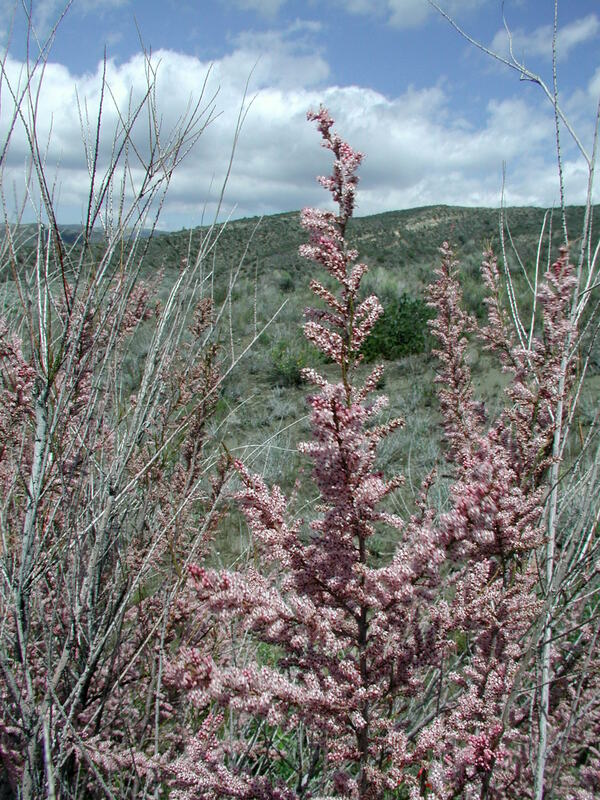 Saltcedar increases the deposition of salts on the soil surface, which makes the area nearly uninhabitable by native vegetation. 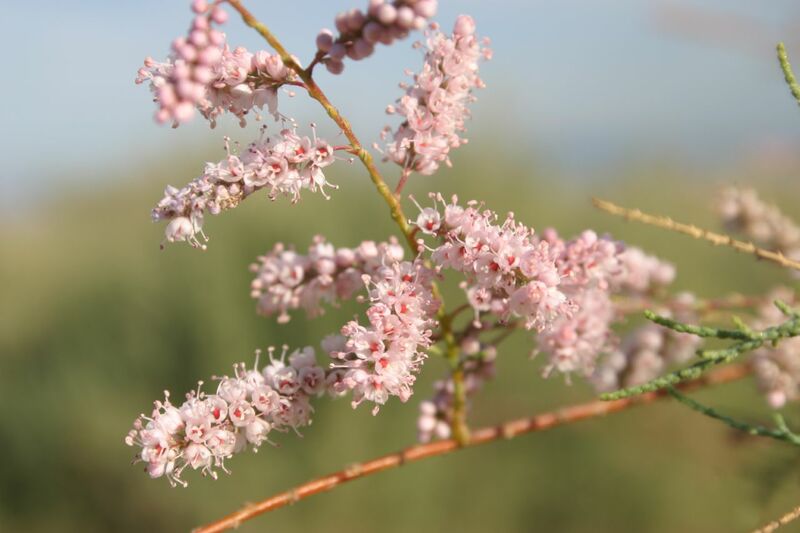 Saltcedar has been blamed for increasing flooding because it changes the way water flows through a habitat, sending floodwater to disperse and inundate areas that otherwise would not be flooded. With the invasion of saltcedar there has been an increase in the frequency of fire in riparian ecosystems. 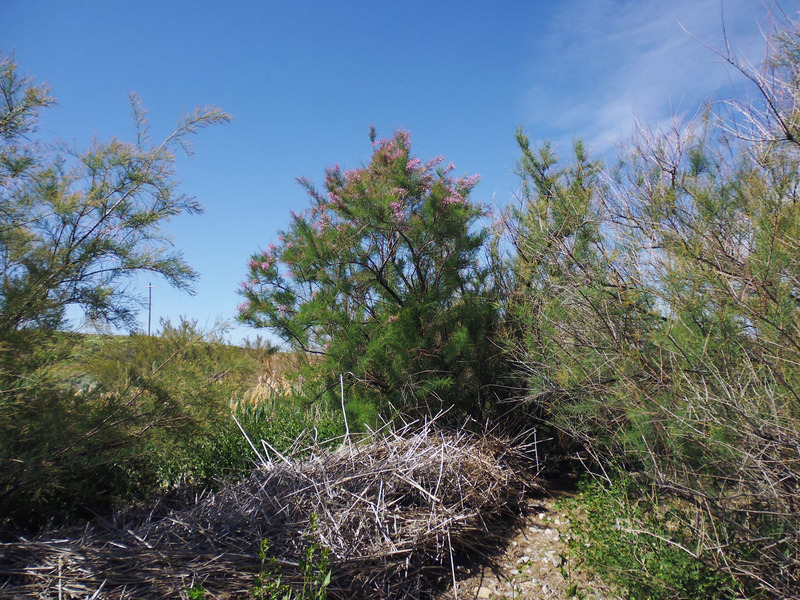 In the lower Colorado River, saltcedar replaced up to 90% of the riparian communities historically dominated by cottonwood-willow forests, substantially displacing native vegetation and reducing the value of this critical wetlands complex for wildlife. Once established, periodic burning, clearing, and flooding have allowed saltcedar communities to remain young and to form nearly impenetrable thickets.